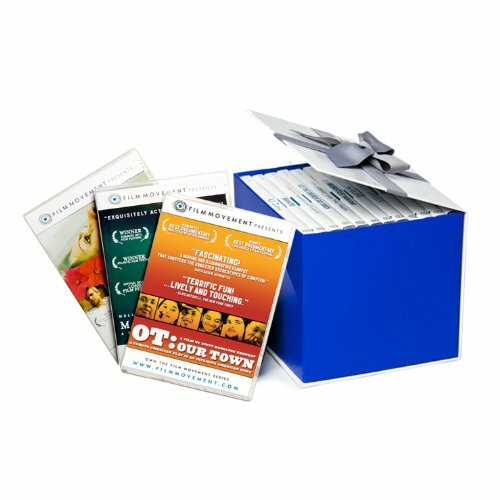 Film Movement's Audience Favorites Gift Box includes 12 of our most popular and beloved titles, including: El Bola, OT: Our Town, The Rage in Placid Lake, The Bothersome Man, Mother of Mine, Arranged, Ben X, Days and Clouds, Somers Town, For My Father, Storm, and Troubled Water. This box set also comes with a nylon Film Movement 24 DVD case, and will arrive at its destination in an elegant gift box. If you have any questions about this product by Film Movement, contact us by completing and submitting the form below. If you are looking for a specif part number, please include it with your message.